The New Year 2014 is coming up within just few days and it is the time to think for business proprietor and online marketers for upcoming business growth. No doubt 2013 was a great year of thirsted and rising SEO terms for ranking and driving massive quality traffic to a website. Well planning and proper search engine optimization for a website to rank up is a vital direction for an online business. Publishing quality articles, building back links and sticking with continue work any online business can grow up and can make first place on major search engine results to bring tons of visitors. In 2013 SEO route we saw some quality change in search engine algorithm such as: Penguin Panda 2.0 and recently Hummingbird. For those major updates almost 90% SEO working patterns has been changed. But there are some things that still same and won’t be change in our expected 2014 SEO strategy and believe me these elements are very essential said by many big SEO experts. We all bloggers and content promoters are know a common phrase word “Content is King” Do you know this phrase will not be changed in the coming year. For the last Google’s Hummingbird update search engines are performing very smartly than prior. Again we have to focus more deeply on our contents. It must be unique, high quality and appointed in order to get frequently SEO success. Why You Should Publish Articles Daily? Once again you can go forward with your backlink building strategy which must be linked from quality and relevant websites. In 2013 link building was a great source to gain best ranking in search engines. So, if you want to keep hold your best position you must keep running your link building plan and also ensure that your all backlinks are coming from related niche and high PR websites. Best of luck for SEO link builders in 2014. Surprisingly 2013 was a successful year for searching information and using internet via smart phones from all over the world. The more interesting thing is, this growing popularity will be increasing strongly in the new year. Search engines will be providing more relevant, localized and smart results just not only in desktop version but also in mobile devices. So ensure that your SEO campaign in 2014 is very friendly for mobile searching and browsing to gain more popularity of your online business. In the coming year 2014 I am sure the above components won’t change and every internet marketer should include these elements into their SEO campaign. Make a solid strategic plan and after applying monitor the changes not only for your private results but also to on the whole analytic and growing scale. At last, wish you a lot successful search engine optimization planning for 2014. We are waiting to hear your comments here. 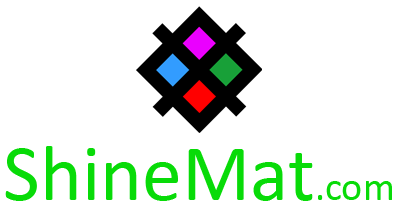 Please spread your voice at ShineMat. Peace and blessing pals. Allah Hafez. Creating HTML5 and CSS3 website with using internal css is good option along with showing good portfolio.